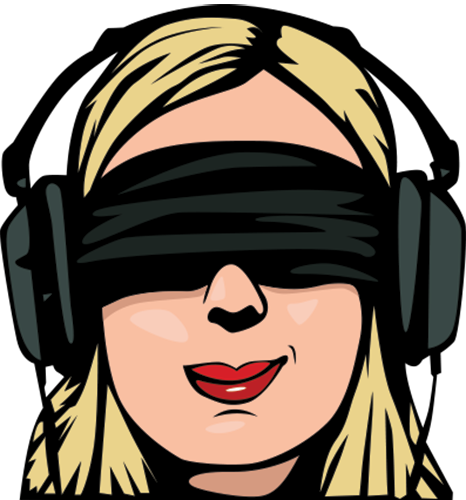 A simple sleep mask from the pharmacy department placed over your lover’s eyes might help her relax, so have one handy and let her know that if she’d be more comfortable blindfolded you’d be happy to slip it on. Ideally you wouldn’t use it for your first VM, because you’ll want to know how she’s reacting to what you’re doing, and eye contact is a great way to communicate. However, her comfort and physical and emotional well-being are paramount. After you’ve done several vaginal massages together, definitely try the mask. It should allow her to concentrate on all the great feelings you’re giving her and increase her ability to let go and enjoy pure pleasure, but you won’t know until you try. Note: most women squeeze their eyes closed when they climax. Encourage yours to look into your eyes at time for a wonderfully intimate moment. As a rule communication is so important when you first start mastering VM that you’ll want to look into your lover’s eyes and talk with her. But once you two get in sync introducing headphones, like blindfolds, may let your woman escape to parts unknown easier. 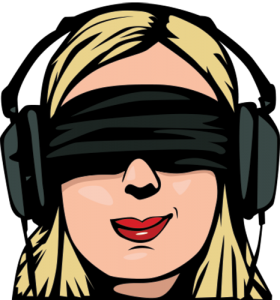 (And a blindfold with headphones heightens this effect.) For some women, the effect is transformative, allowing them to blow past their normal sexual boundaries. A nice set-up is some noise-cancelling headphones connected to your favorite smart phone or MP3 player.